to improve our services and help you grow your earnings. These include a new Optimization tab that provides tips on increasing your revenue, improved AdSense interface for easier user navigation and more transparency on our policies. 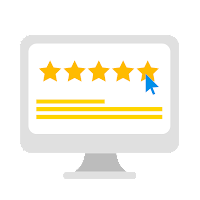 Whether you’ve completed this survey before or you’re providing feedback for the first time, we’d like to thank you for sharing your valuable thoughts. We’re looking forward to feedback! It’s time to share your feedback! To improve our product and services, we send out a survey to a group of publishers every 6 months. The next survey will be sent soon and we’re looking forward to hearing from you. Your feedback and comments are important to us, and we really do read and consider everything you write. Thanks to previous suggestions, we’ve launched a number of new features to improve our services and help you grow your earnings. These include a new Optimization tab that provides tips on increasing your revenue, improved AdSense interface for easier user navigation and more transparency on our policies.